Rain, rain go away! Come again another day! It’s raining, it’s pouring, staying inside is getting boring! Rainy days offer just another challenge in the life of a parent. Cabin fever can set in fast and before you know, it the kids are bouncing off the walls and complaining that they are bored. With a little help from this list of things to do with kids on a rainy day, boring rainy days will be a thing of the past! Jump over to one of the many bounce houses, open gyms, or trampoline parks in the area. It’s a great way for kids to burn off that excess energy and get some exercise. Visit the Oak Lawn Children’s Museum, the Frankfort Children’s Museum, or make it an adventure and travel out to one of the further children’s museums. Bake a sweet treat while getting some assistance from your children. Free indoor play areas are scattered all over the suburbs. Take a quick trip to the mall, library, McDonald’s or Chick-fil-A and let the kids play! Let the kids go through your closet and put on a fashion show! Play a board game! Some good, competitive fun between family members never hurt anyone, and the laughs are endless. Explore a nature center. Most nature centers offer a good dose of free fun in any type of weather. Indoor miniature golf is a fun way to spend an afternoon or evening with the kids while getting in some physical activity. Drop-in at one of the local art studios and paint a project with your children. Sort through the endless amount of arts and crafts ideas on Pinterest and choose an activity to do with your children. Pop some popcorn, turn off the lights, and turn on a movie to simulate a movie theatre experience. Grab a blanket, make lunch or some snacks and have a picnic! Indoors in the family room, or outside in the backyard, something about eating on a blanket is always fun for the kids. Use old socks or paper bags to make puppets, and then put on a show! Take a trip to a bookstore or toy store. Barnes & Noble and Lakeshore Learning are great stores for kids to explore and play. Try not to leave with too much merchandise! Read some classic books or check out some new ones together! Cuddle up under the covers and start a new chapter book, reading a chapter or two at a time. If your kids are young, pick out a few board books they enjoy. Find items in your home that can be used as musical instruments, and lead the kids around the house in a parade! Write some good-old fashioned hand-written letter to family members. Go ice skating! The suburbs have indoor ice rinks with free skate times almost every day of the week. 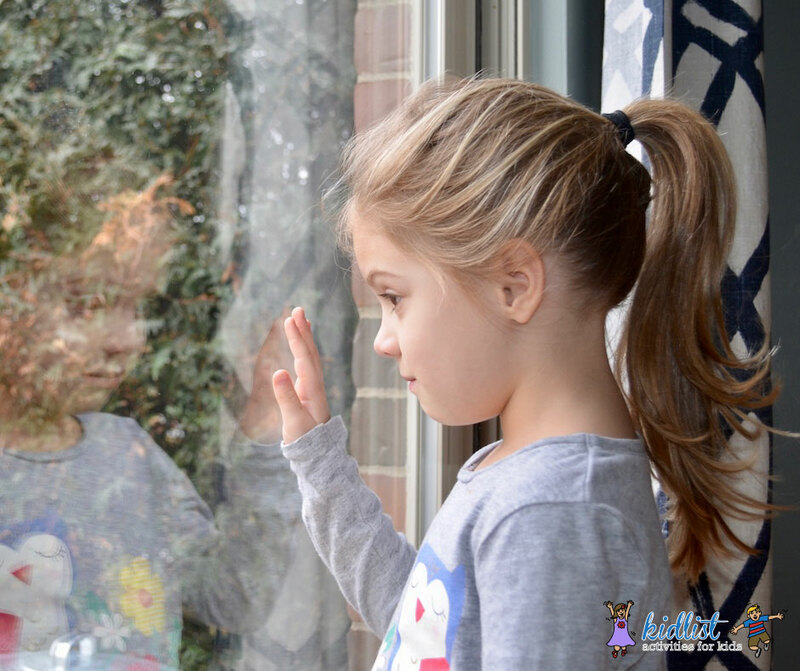 Put together an indoor scavenger hunt and have the kids hunting for objects all over the house! Yoga for kids. Do a quick search on the internet or your cable provider’s site and you should be a able to find quick videos. Construct an indoor obstacle course using unbreakable objects. Go outside anyways and splash in some puddles! Our indoor activities page is a great resource for even more rainy-day fun. Be the first to comment on "25 Rainy Day Activities in the Southwest Suburbs"